Confirmation is a sacramental commitment that begins with learning about our faith and choosing to live that faith. At confirmation, those who were baptized as babies renew the promises made on their behalf at their baptism. Adults recently baptized or coming from another Christian tradition renew their baptismal promises and formally join the Episcopal Church. 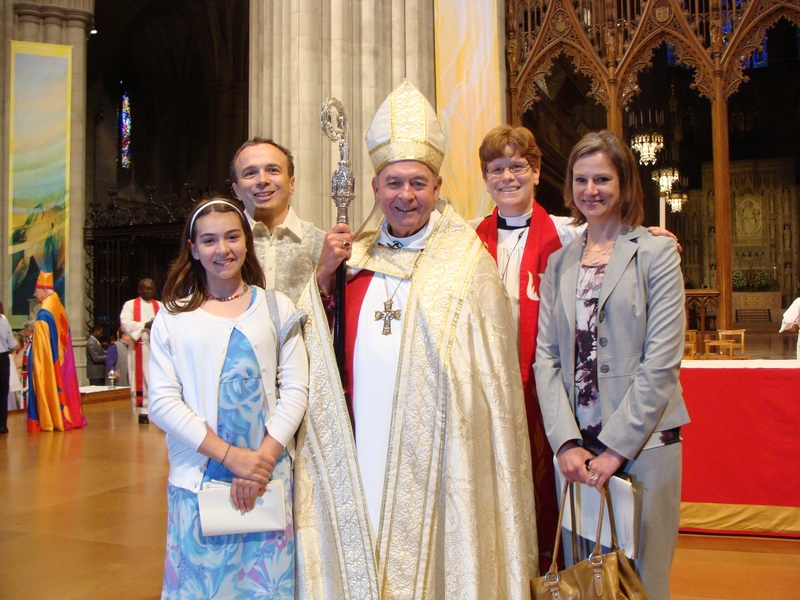 The preparation for confirmation culminates in a special service at the National Cathedral where the Bishop lays hands upon each person and affirms his or her commitment. The real work of preparing for confirmation and choosing to be confirmed begins at St. George’s in January and continues until May. High school teens and adults may be confirmed and meet weekly with the priest to explore their understanding of God through scripture. They study the teachings and traditions of the Episcopal Church. Holy Week is a special time for the confirmation class, who worship together and, in worship, follow Jesus’ path in the days leading to Easter.